The Controlled Decent Device is fitted onto the side of an elevated working platform. 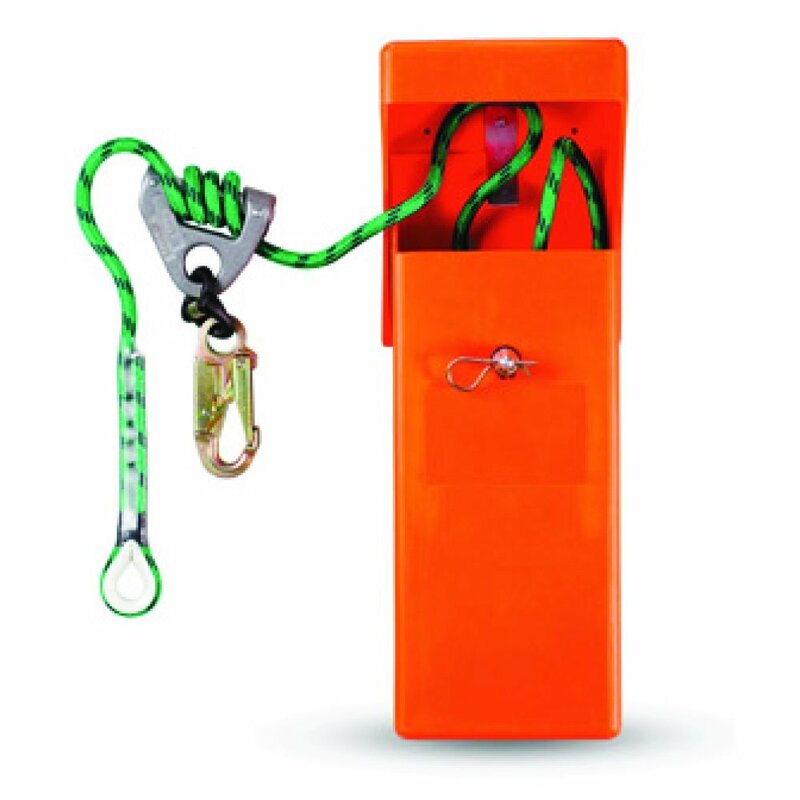 It contains kernmantle rope and a descender for quick and easy descent from the working platform in case of an emergency. The highly visible load density polyethylene deployment container has very high impact resistance and will not shatter if it falls to the ground. Descent can be easily controlled by the user or person on the ground.